A classic steak house staple, the wedge salad is seriously satisfying. A big hunk of iceberg lettuce, creamy dressing and crunchy toppings, it’s both impressive and impossibly easy to throw together. Here, eight delicious riffs on the classic wedge. 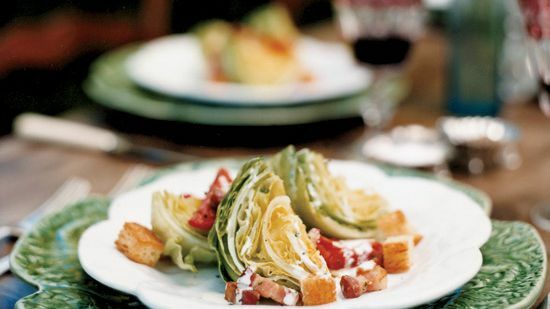 This salad from Thomas Keller is a twist on the quintessential American combination of iceberg lettuce, tomato wedges and packaged bacon bits with a mayonnaise dressing. Only the iceberg lettuce wedges stay the same: The tomatoes are oven-roasted, the bacon is cut extra thick, and the buttermilk dressing is spiked with chives, mint and parsley. 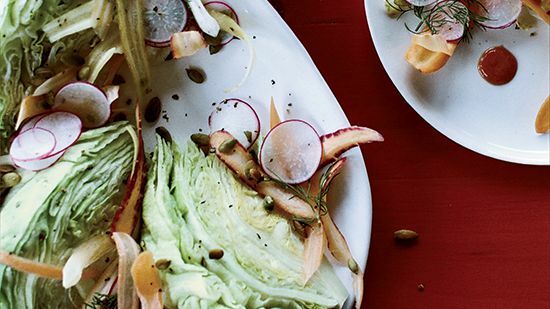 This hearty salad is topped with crispy pancetta, avocado and hot pickled peppers. 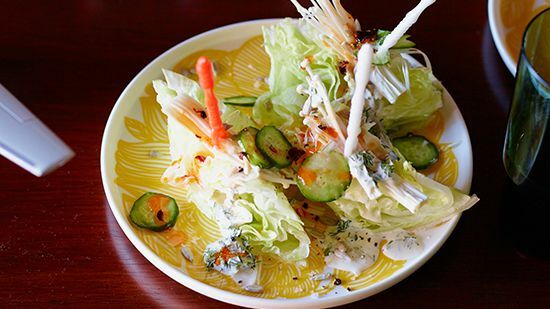 Chef Courtney McBroom makes her delicious iceberg wedge salad with two dressings: a spicy ranch and a sunflower seed tahini. Tangy Roquefort cheese makes for a deliciously pungent dressing. 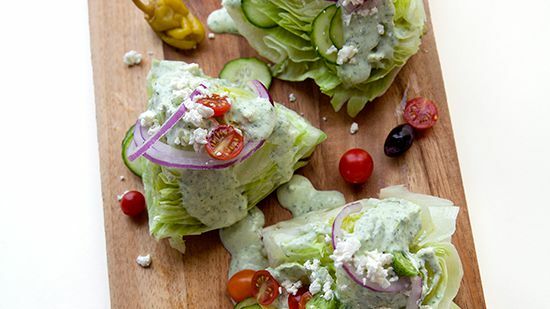 The classic wedge salad has been given a Greek-inspired twist with a creamy, herbed feta and Greek yogurt–based dressing. The dressing for this salad has a buttermilk base for a terrifically tangy flavor. This not-so-heavy take on the wedge salad features a creamy French-style dressing with roasted tomatoes and mustard. This Tex-Mex riff on the wedge salad is topped with crumbled bacon, diced tomato and shredded Pepper Jack cheese.